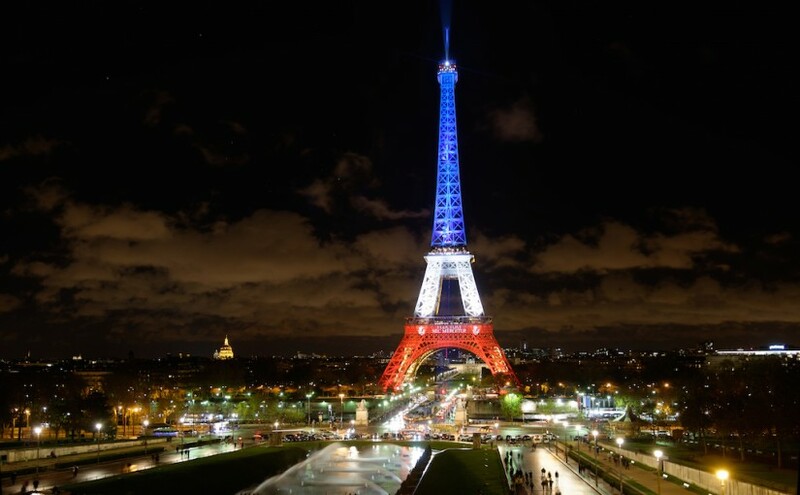 Following the deadly attacks in Paris last Friday The Eiffel Tower had been closed during the weekend and its lights had been switched off. The iconic monument of Paris reopened to visitors on Monday afternoon and is lit up in Blue White and Red for three days, until tonight. The Eiffel Tower does not only wear the French national colours but also the motto of the City of Paris: ‘Fluctuat nec Mergitur’. I went on the Esplanade du Trocadéro last night to admire the Iron Lady in Blue White and Red: so beautiful, so majestic, so… hard to put into words! The Esplanade was not crowded at all and everybody could take one’s time contemplating or taking pictures. If you are in Paris tonight I highly recommend you to go for a ride to the Trocadéro: the view on the Eiffel Tower is really worth seeing!